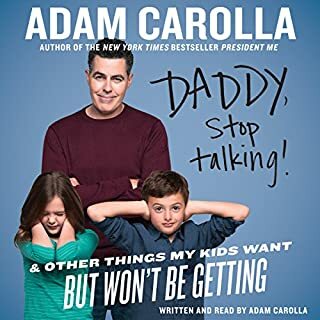 Adam Carolla’s signature “rage” bits have become an integral part of his act, most recently as a recurring segment (“This Week in Rage”) on CBS Radio’s morning talk program The Adam Carolla Show. He is known as the co-host of the radio television show Loveline, co-creator and co-host of Comedy Central’s The Man Show, co-creator and the performer on Comedy Central and MTV’s Crank Yankers and former contestant on ABC’s Dancing with the Stars. 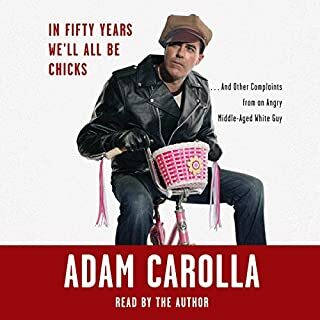 In his second book, Adam Carolla - chart-topping podcaster and author of New York Times best seller In Fifty Years We'll All Be Chicks - reveals all the stories behind how he came to be the angry middle-aged man he is today. Funnyman Adam Carolla is known for two things: hilarious rants about things that drive him crazy and personal stories about everything from his hardscrabble childhood to his slacker friends to the hypocrisy of Hollywood. He tackled rants in his first book, and now he tells his best stories and debuts some never-before-heard tales as well. 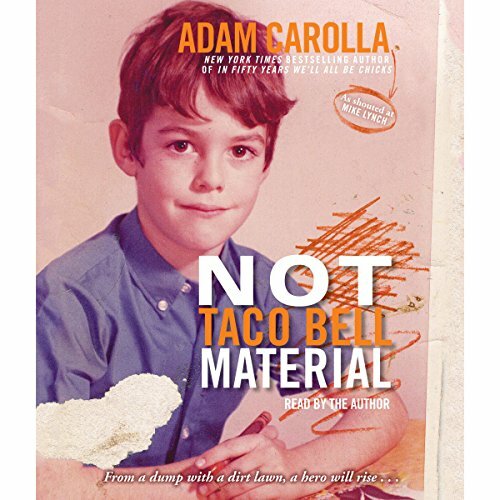 Organized by the myriad "dumps" Carolla called home as a child - through the flophouse apartments he rented in his 20s, up to the homes he personally renovated after achieving success in Hollywood - the anecdotes here follow Adam's journey and the hilarious pitfalls along the way. Adam Carolla started broke and blue collar and has now been on the Hollywood scene for over 15 years. Yet he never lost his underdog demeanor. He's still connected to the working class guy he once was, and delivers a raw and edgy, fish-out-of-water take on the world in which he lives (but with which he mostly disagrees), telling all the stories, no matter who he offends - family, friends or the famous. What made the experience of listening to Not Taco Bell Material the most enjoyable? This book has more than a few stories rehashed from the first book, along with a few that you may not have heard before. Which character – as performed by Adam Carolla – was your favorite? 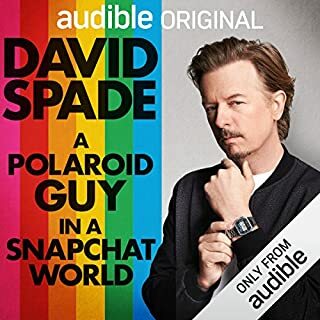 Where does Not Taco Bell Material rank among all the audiobooks you’ve listened to so far? 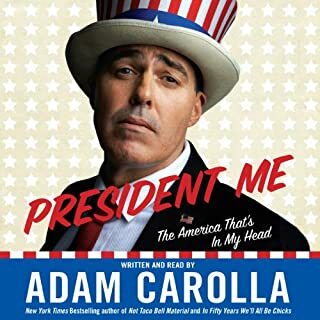 While this is one of my favorite audio books, I never would have been a fan of the pre-Dr. Drew version of Adam Carolla. The wonderful influence of each man's spirit upon the other has tempered their more extreme personality traits, lending sophistication to Adam's surly outlook upon the world and a degree of good natured manly grit to Drew's ultra type A personality. Not bad but uneven and not revealing. An autobiography of Adam's life told in stages, each stage defined by a house he lived in. This book was funny, and at times even smart, but the extent and quantity of the gross-out gags had an overpoweringly negative effect. 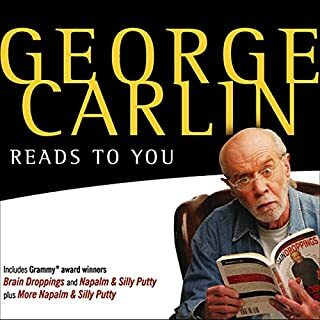 Carolla narrated this book himself which was fine, and it was mostly really good and original in its approach. He didn't read the book but rather told the stories off-the-cuff in a stand-up comedy style. What I found somewhat annoying here was that he would reference an image in the book and then tell everyone to go buy the print book if they wanted to see it. Also he edited the stories from the book and even left out an entire chapter. Overall, I wish that I could have learned more about the Carolla from this book. Why are his friendships so enduring? What has his journey from shoe-box apartments to million dollar mansions taught him? Something more than just a bunch stories about guys peeing on one another (or worse - yes, worse). Must have for any Adam Carolla Fan! This book contains a collection of stories from Adams life. I liked how he used the places he was living as a timeline and a gauge of how well or bad he was doing at the time. If you are a long time listener (meaning you have listened for hundreds if not thousands of hours) to Adam you might of heard some of these stories before. But the great thing about the book is its all laid out for you in an easy to follow way. So if you are an Adam Carolla Fan what are you waiting for, Let's keep this Pirate Ship a float! Get it ON, No choice but to get it ON, Mandate get it ON! Adam himself, if you like the ACE Broadcasting network or are a fan of laughing, this book is for you! What was one of the most memorable moments of Not Taco Bell Material? I hope Adam continues to make books and audiobooks... His audiobook is full of great riffs and punchlines as well as compelling stories... GET IT ON! Loved it???.. totally worth spending a credit, very fun to hear these stories told by the author. Each chapter is filled with fun and impressive stories backed up with thoughtful life lessons. This book should be considered therapy for both Carolla and the reader. I kind of hate his mom after hearing some of the crappy things she put him through. What did you love best about Not Taco Bell Material? Would you listen to Not Taco Bell Material again? Why? Probably not, considering that I only listen/read a book once. It gives the reader the knowledge as to why Adam Carolla is who he is today. I was saddened to find out that Adam choose to exclude certain chapters/stories of the book. Constantly reminding the reader that if they wanted to find out, to buy the book by claiming that he was pushing the 8 hour mark; when there are books that are well over the 20 hour mark! What other book might you compare Not Taco Bell Material to and why? I laughed probably more than Tina Feys recent book. It's comedy you can relate too. His voice makes the book. I'm an Adam Carolla fan. I listened to his previous book, listen to the podcast, and enjoyed his movie. This one has a lot of stuff i'd heard before. It was still interesting though, don't get me wrong, but he cut out some of the new material that is in the book and not in the podcast (about his interactions with celebrities) and I really would have liked to have heard more about that. 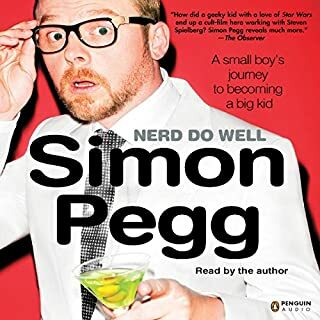 Still if you like Adam's style you will enjoy this audiobook.